As an artist, he has released 8 solo records and won a San Diego Music Award for best pop jazz artist. 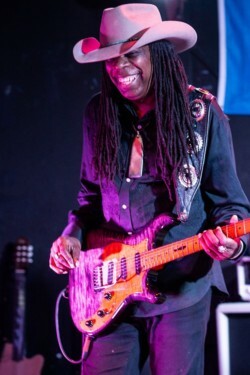 He has many long-standing endorsements and relationships with companies such as Ibanez Guitars, D’Adarrio Strings, D’Marzio Pickups, Tech 21 NYC, Cord-Lox, Dava Picks, Antares Tech, Sennhieser Wireless Systems, Pro Bag Gigbags, Majik Box, Fractal Audio, Morrow Audio and now with Knaggs Guitars and Godin Acoustic Guitars. Although my music is instrumental, most of the music I produce is Singer Songwriter, Country, Pop, Rock gospel, contemporary Christian etc., all genres are welcome to apply. We will meet both individually and as a group to exchange ideas and discuss issues related to creativity, including performance, imagination, individuality, collaboration and craft. We will have recording equipment available to record your work. I will share my music production process, from mics and effects, to building tracks that move the listener. Please submit up to 15 minutes (total) recordings/video of works – or clearly indicated excerpts of works. (.mp3, .mp4) And one or two scores or lead sheets if available (.jpg, .pdf). You can also include links to videos on YouTube, Vimeo or your personal web site. (.doc, .docx, .pdf) Please note – no one file can be larger than 10MB.